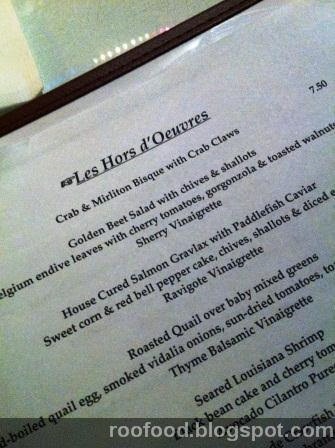 Leaving the French Quarter behind us, we headed to Cafe Degas. My friend Lynda was catching up with her Uncle and Cousin. 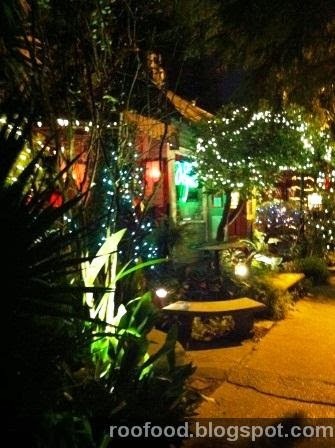 Cafe Degas is a French Bistro with a New Orleans touch. Very chic, very classy, small, dimly lit (very romantic) and with the big tree that grows through the centre of the restaurant very cool. 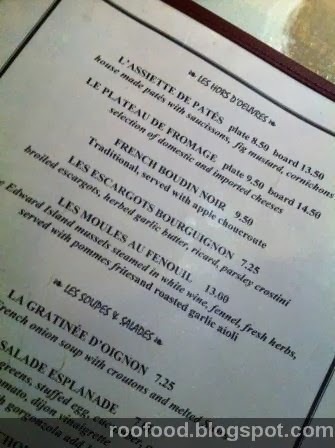 We are seated in the enclosed patio and perusing the menu I decide to see how much French I actually remember from school (I did 4 years of French).... it appears not as much as I had hoped! 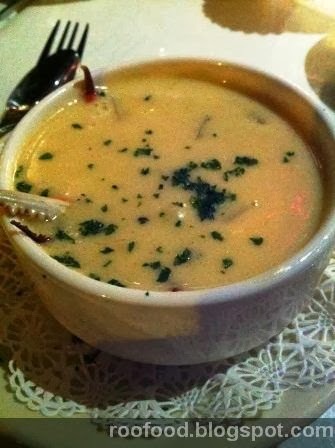 This is bisque is thick and hearty and creamy and the two big crab legs are juicy and sweet. 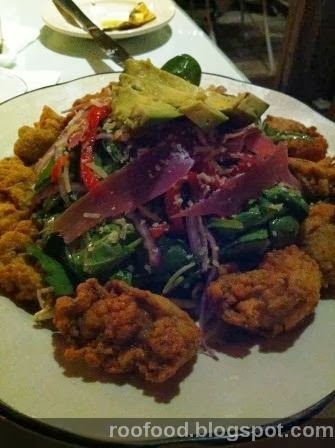 Great starter. 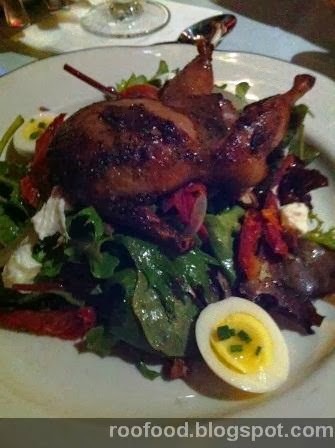 The quail is crispy and tender and surprisingly meaty. Eating one of the legs feels dainty in my fingers as I nibble the meat off the tiny bones. The thyme balsamic vinaigrette is tasty and woody (obviously the thyme). Couldn't pass up another opportunity to try boudin, this time it's a black boudin (noir) which is made with blood. 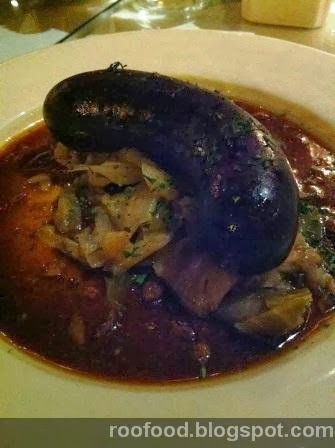 Served with apple choucroute. This black sausage skins pops as we cut into it, but it's very mushy on the inside and not very palatable. It's rich and metallic tasting. The choucroute (similar to sauerkraut) is good and tangy and paired with apple through it it's good. 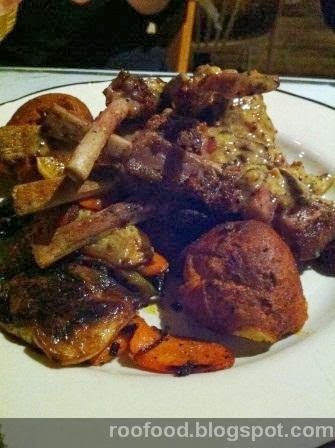 A dish that wasn't devoured. 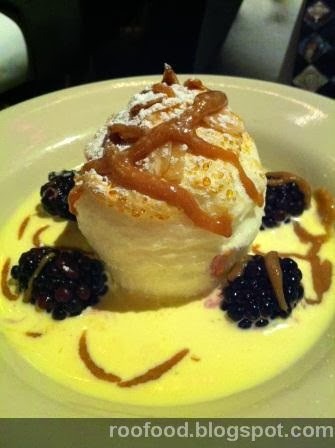 We were to full for dessert but someone did order the œufs à la neige, which is French for 'floating islands' a meringue in a puddle of creme anglais with blackberries and caramel sauce. A tiny taste test (for full research purposes), it is light and fluffy - I am a sucker for meringue. 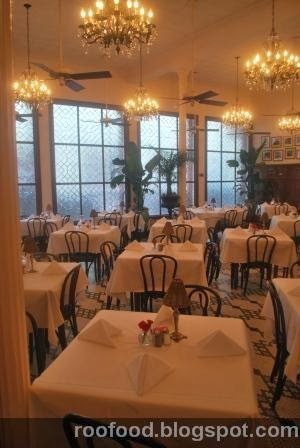 Cafe Degas is a delightful French Bistro on The Esplanade - a little out from the French Quarter. 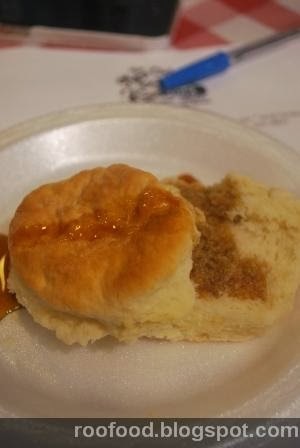 Once we were seated in the country style kitchen, we helped ourselves to fresh lemonade and were served a buttermilk biscuit with Steen's Cane Syrup. These were not as light and fluffy as expected, however still warm and good - more like a scone than a biscuit. Our delightful chef for the day starts with a roux (which is a fat/flour base for gravy and sauces). Today we are using vegetable oil, however traditionally in cajun/creole cooking bacon fat is used. It can be white to dark brown depending on what you will be using it for. 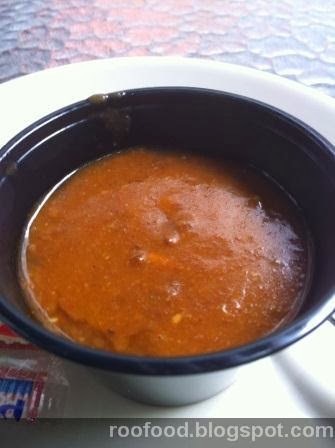 A roux is a base for gravy, gumbo and many other Creole/Cajun dishes. I had trouble watching the demo, the mirror was a little distracting! The smells emanating from the kitchen is wonderful and my taste buds are buzzing. I like watching demonstrations, but nothing beats actual hands on cooking. This morning I'm happy to sit back and relax and take it all in. 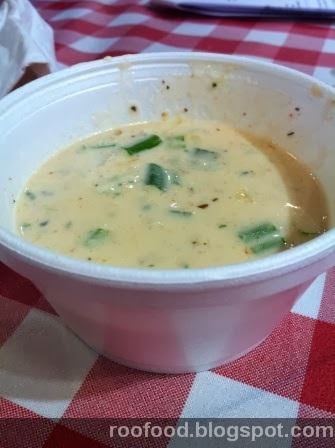 We start with the shrimp and artichoke soup. Creamy and full of perfectly cooked prawns. The artichokes are softened and blended through the soup, leaving small pieces to chew on. 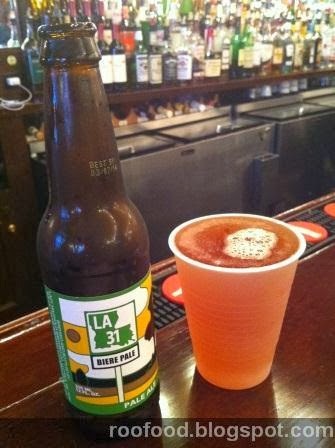 A jug of Abita finds it's way to the table. It might only be 10.30 in the moring but I can't resist. 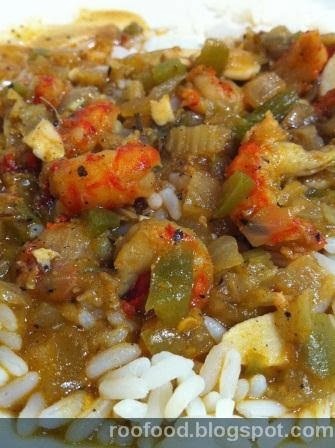 Crawfish Etouffee is an iconic Cajun or Creole dish (depending who is cooking it, whether Cajun spice is used or Creole spice is used) Etouffee means 'to smother' and typically served over rice. It can be made with any shellfish, but when in season, crawfish etouffee is the most popular. 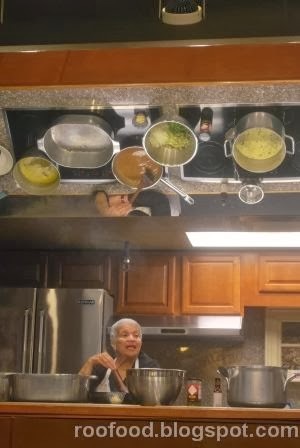 Start with a blond roux and the holy trinity (bell peppers, onions and celery) as your base, add your crawfish and other ingredients and let it simmer into a fantastic stew like sauce. As crawfish isn't in season, I find the crawfish a bit on the tough side (I am thinking they may have been frozen - but not sure). The spices taste a little uncooked for me, but that isn't to say it wasn't tasty. Of course no meal is complete without dessert. 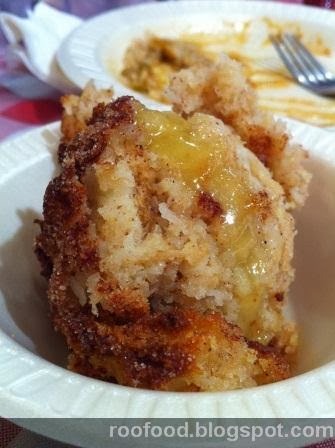 Bread pudding is a staple dessert in NOLA (in my opinion). I will say the pralines were a hit and miss. The batch that was made for us didn't work out so well. It crystallised and didn't set properly. We were offered pieces from another batch. They were okay, I still prefer the pralines from the Southern Candy Makers, but I was happy to learn how to make them. Following on from the class (and some shopping afterwards in the general store) we met our guide at Antoine's for our culinary history tour. It turns out it's just the two of us. 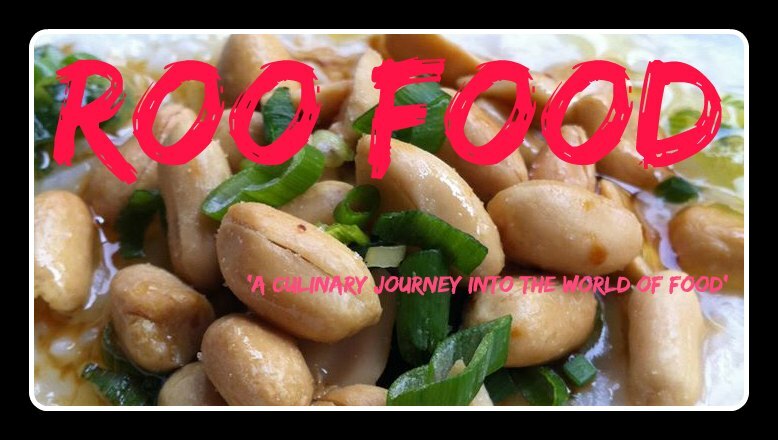 I was excited for this tour as it takes you behind the scenes and into restaurants that you may not get to (even when dining there) and of course there is taste testing along the way. 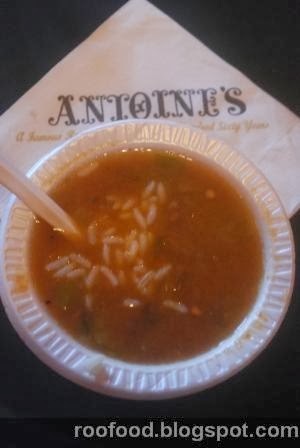 We sit in Antoine's while eating gumbo. 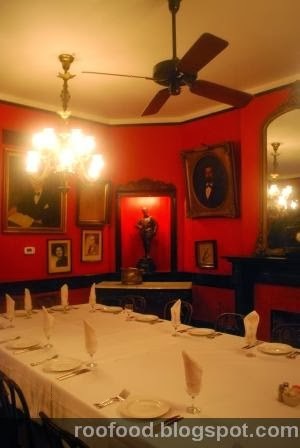 Antoine's is the country's oldest family owned restaurant. Gumbo is probably one of the most well known dishes in Cajun/Creole cuisine. It's stew like consistency can be made with anything from seafood to sausage and meats. Served with some rice it's comfort in a bowl. The many rooms in Antoine's. After a walk through the famous Arnauds and the museum on site that is dedicated to the founder's daughter (and restaurateur) Germaine Cassanve Wells. She was the social elite of the city and her wonderful wardrobe and rooms have been on exhibit for some time. We end up at Remoulade (which is a branch off from Arnauds) to find out next sample. 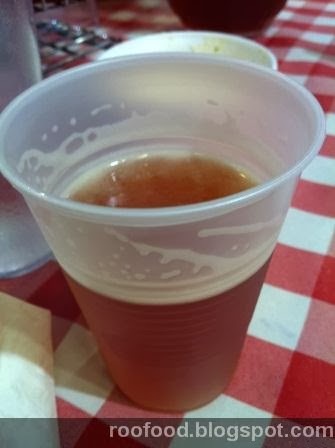 I decide to partake in a cold beer. An LA 31. Shrimp Arnaud (shrimp remoulade). this is where the dish was invented. 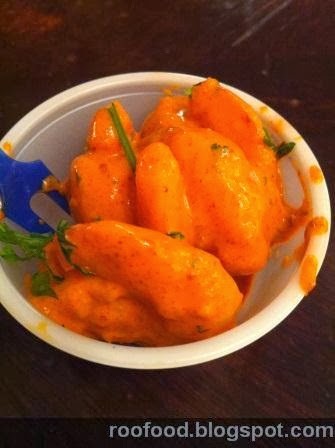 The plump prawns are coated in remoulade sauce. I'm like the huge sample on offer too! The name of the restaurant for the third sample escapes me. It was part of a hotel and I know we sat out in a lovely courtyard with a fountain! Honestly! This just goes to show how the tour was progressing (more on that at the end of the post). This was a dish that was a first for me. The broth was rich and meaty, but no distinct turtle flavour. Not sure what turtle is supposed to even taste like. It was good though. Comforting. Our fourth (and final) stop on this tour is Tujague's. 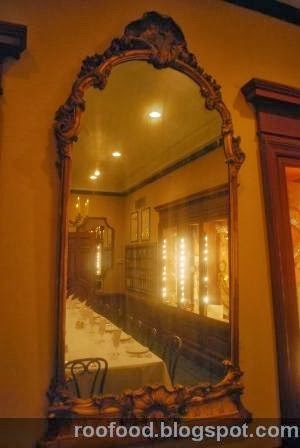 Reputedly the second oldest restaurant in NOLA. Here it's the famous house speciality of boiled brisket of beef served with horseradish sauce, potatoes and vegetables that brings us in (sorry no photo). It was tender and meaty and the horseradish sauce had a good bite to it. 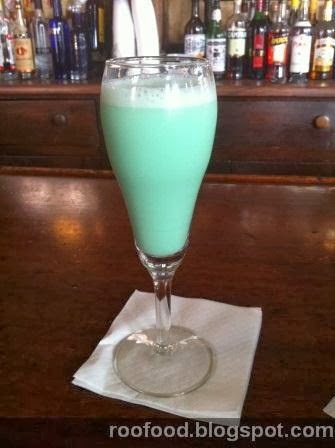 The grasshopper, which was reputedly invented here too, which is an after dinner mint cocktail is also included. It's a creamy, menthol tasting concoction and not something I would drink. I'm more of a fruity cocktail girl - or a pina colada! 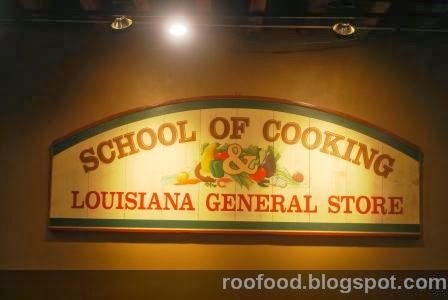 In all honesty, it was fabulous to visit these restaurants and poke around behind the scenes and taste some wonderful offerings, but over all I was disappointed with this tour, including the tour guide. I felt the whole thing rushed and the guide pushy and not very interested in the tour. At the end there was an 'incident' where there was a stern reminder of gratuity. As if we didn't know (particularly as my friend is American). Before we had even finished our drinks she was rushing to get out and hadn't given us a chance to even get our purses out. Sort of left a black mark against the day. Nothing against the company, just now a pleasant experience.